Posted October 22, 2018 by SCS Gearbox & filed under Parts. Are you having an unbelievably tough time finding a specific performance racing part for a car, motorcycle, or other vehicle? Rather than spending hours and hours searching for it or emptying your bank account to get your hands on it, order custom fabricated parts for your performance racing vehicle instead. It’ll allow you to replace parts that have either been discontinued or are simply too hard to find. 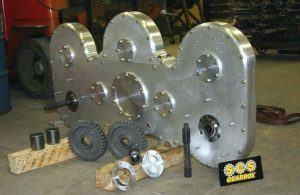 Check out some of the other advantages of ordering custom fabricated parts below. You’ll get parts that are built to last. When you have custom fabricated parts created by a company that knows what they’re doing, you won’t have to worry about those parts breaking down on you. The parts will be every bit as durable, if not more durable, than the original parts that were in your performance vehicle. The company will use high-quality materials to customize the exact parts you need. You’ll receive your parts quickly. You don’t want to have to sit around and wait forever for your performance racing parts. Nevertheless, that’s what you might have to do if you choose to look around for someone who has the parts you need. By having custom fabricated parts made instead, you can get them very quickly and install them right away. You’ll know where you need to go to get parts again in the future. If you need one performance racing part for your vehicle now, there’s a good chance you’re going to need more in the future. By working with a company that can manufacture custom fabricated parts for you, you’ll give yourself the opportunity to get whatever parts you need, both now and in future years. You won’t have to spend time searching for parts every time you need them anymore. 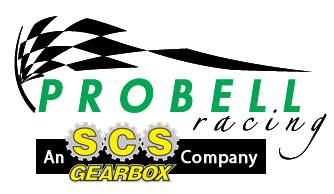 At SCS Gearbox, we make it easy for people to find the performance racing parts they need. We have a large selection of parts in stock. We also can create custom fabricated parts if you want. Call us at 419-483-7278 today to see how our fabrication process works.